You will Watch G.I. Joe: A Real American Hero Season 1 Episode 53 online for free episodes with HQ / high quality. Stream cartoons G.I. 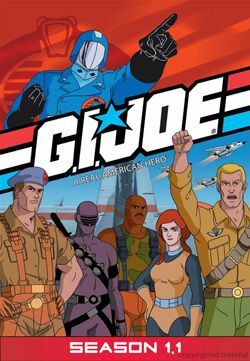 Joe: A Real American Hero Season 1 Episode 53 Skeletons in the Closet Lady Jaye receives a letter of inheritance from Dame Agatha Doyle leaving her a manor house in Loch Lomond in Northern Scotland, which turns out to be the ancestral home of Destro. She witnesses a winter solstice ritual to raise the power of evil, and if seen, she may be forced to particpate in, leaving Flint and G.I. Joe to come rescue her.